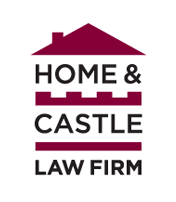 At Home & Castle Law Firm, we operate as a family of legal service providers who take pride in the business law, real estate law, and litigation services we provide. While our skills are many, one key factor unites us: a commitment to your best interests. When you come to us for help, you become part of our team; always treated with dignity, respect, and understanding. By applying our experience our multi-talented team will solve the problems standing in the way of your personal, business and professional growth. For us your satisfaction is paramount. Our dedication has created loyal partnerships with many satisfied clients. No matter what your particular needs are, we respond with innovative solutions and knowledgeable legal counsel. Whether you are a small business owner, professional, or corporate CEO, we are committed to assisting you.